Tasmania’s Sustainability Learning Centre is an innovative and visionary purpose built educational facility, which offer programs both on and off-site. It is situated adjacent to prominent reserves near the Hobart College campus at Mt Nelson, Tasmania, amongst 65 hectares of bushland which is habitat for a number of threatened species. 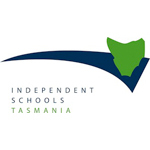 The Tasmanian offices and teaching programs of the Department of Education’s Manager of Sustainability Programs Jenny Dudgeon and Greening Australia operate from the centre. The Sustainability Learning Centre has been constructed with support from the Australian Government’s Department of Education, Employment and Workplace Relations’ Local Schools Working Together pilot program, funding from Greening Australia and its supporters, and additional support from the Tasmanian Government. The Sustainability Learning Centre was designed by Morrison & Breytenbach Architects and constructed by Vos Construction and Joinery Pty Ltd. 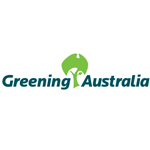 The Sustainability Learning Centre has been constructed to gain 6 stars under the Green Star rating system of the Green Building Council of Australia. Programs which focus on science and sustainability operate from the centre. This includes programs that inform students about climate change, biodiversity, ecology, renewable energy, water, economic and environmental sustainability, conservation and future careers. These programs are designed to inspire and enthuse students, encouraging some of them to pursue careers in science or science related fields. The Sustainability Learning Centre partners use the centre and support sustainability in different ways. Some programs are offered at the centre, whilst others can be offered at school and other sites around the state. The programs offered support the Sustainability cross-curriculum priority of the Australian Curriculum. They also make connections to Australian Curriculum subjects, including Science, Geography, Maths and English. The Australian Curriculum sees sustainability education as futures-oriented, focusing on protecting environments and creating a more ecologically and socially just world through informed action. Actions that support more sustainable patterns of living require consideration of environmental, social, cultural and economic systems and their interdependence. This year the DoE’s Sustainability Manager is offering innovative early years programs that align strongly with the Early Years Learning Framework such as the highly popular bush kindergarten program and the nature play/loose parts program. The Aboriginal Education Project Officer and the Aboriginal early year’s staff work closely with the DoE Sustainability Learning Centre manager to offer a unique, culturally aware learning opportunities on country and about country through the Aboriginal Sharers of Knowledge program. Bush Kinder is situated at Mt Nelson’s Sustainability Learning Centre (SLC) surrounded by 65 hectares of beautiful bush habitat -just perfect for being on country, exploring, enjoying, being active, building, collecting and observing. Through outdoor play pre-school children develop an understanding of the bush in a culturally responsive way by learning alongside Aboriginal people. Parents can bring their pre-school family and teachers can bring their kinder or Launching into Learning students to the weekly Bush Kinder sessions at Mount Nelson this year. The Bush Kinder at the Sustainability Learning Centre is a joint venture between Aboriginal Education Services and the Sustainability Learning Centre. These sessions are aimed at LiL groups, Child and Family Centre families, Kinder, Prep and Year 1 children. Water Wise: Why water? Where does it come from where does it go? Waste: 4 R’s What are they? Educational resource materials that support the Sustainability cross-curriculum priority can be found by searching on the Scootle website. Australian teachers can obtain login details for Scootle or an alternative site from their education system.